At the track in your garage. As I'm putting the finishing touches on my Clinton I may not be burning the midnight oil out in the shop but I've been burning my KLOTZ candle. 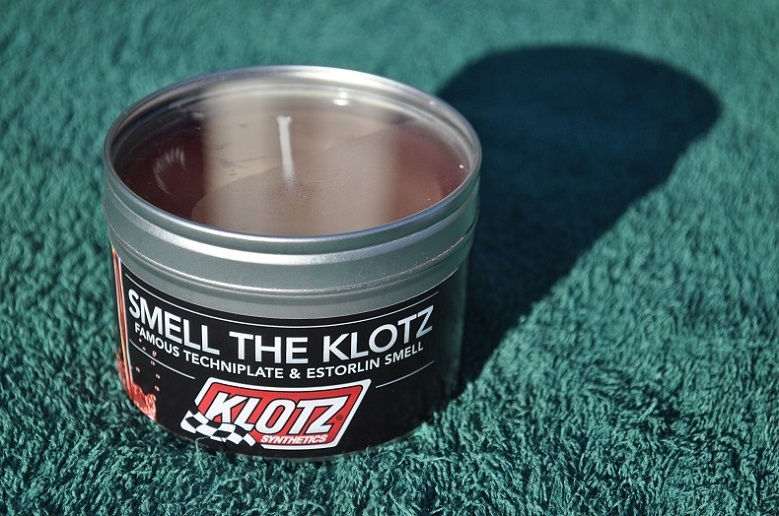 That's right folks, KLOTZ offers a candle that lets off a mild scent of its famous 2-cycle oil so even though the sights and the sounds of being at the track are hidden away by winters weather you can still enjoy the sweetest smell in karting right in your shop. Kind of funny, for some strange reason things just seem to go together better with the aroma of Klotz in the air.